As I am preparing to visit Seoul end of this month, it's only natural that I do some heavy duty research on where I would like to check out and eat. So here is my preliminary list that I have compiled so far and perhaps, this perks your interest as well. 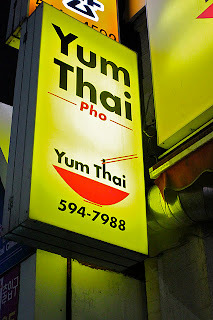 When I am in Asia, I prefer the local or other Asian influence food. So do not expect to see Western/European influenced restaurants listed here. South of Hannam Bridge. A cute upscale neighborhood for boutique shopping, latteing, and luncheons. It has an European vibe with Euro prices to match. Specializes in soy sauce marinated fresh crab. Not one of the cheapest meals you'll have in Seoul. 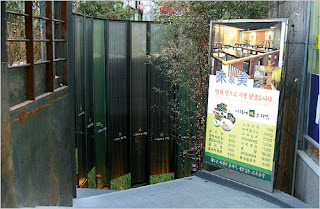 Since the menu is written in Korean, point to 80,000 won item on the menu. I believe this price is for 4 persons. but for 2 persons, then point to 55,000 won which is listed below. It's listed as #9 on above map. Subway direction: Sinsa Station exit 4. Count to 2nd street and turn right. Look for it on your left side. A traditional korean meal with 25 different side dishes. It's always packed during lunch and dinner hours. It's listed on the above map. Subway direction: Sinsa Station exit 6. Turn right at 1st street. Turn left at the 1st street. Look for the sign on your right side. A Japanese izakaya restaurant specializing grilled dishes, sashimi, scallops, oyster, omelet, and more. Expect to pay about 25,000 - 30,000 won ( $30) including alcohol. 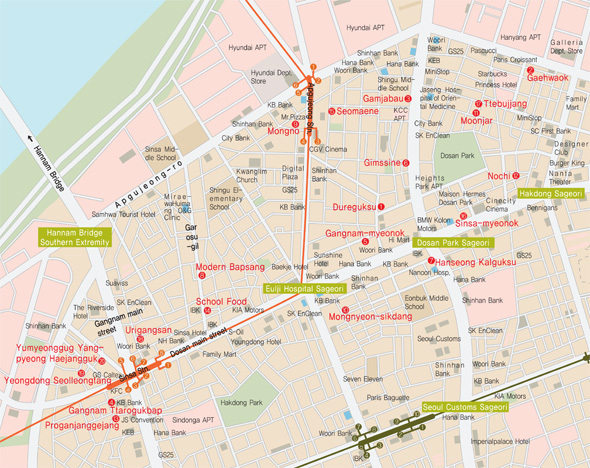 Map: Link - the map shows the location of Paper Garden. If you have absolutely no idea what you are in the mood for, head over to Hyundai Department Store. You have the option of heading to the basement where there is a food court with a variety of Korean food and a grocery store section with a plenty of Korean snacks to choose from. Or head to the top floor where there are plenty of restaurants to choose from as well. I recommend Crystal Jade dim sum restaurant on the 5th floor. Subway direction: Apgujeong Station exit 6. 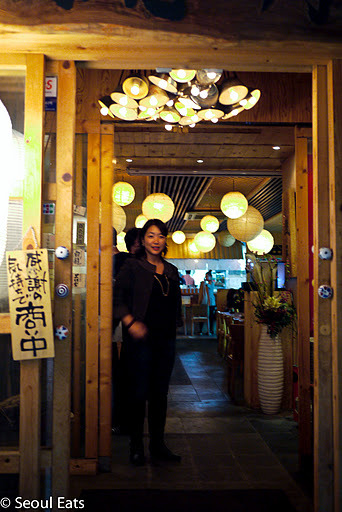 A restaurant specializing boribap which is steam barley which comes with healthy vegetable toppings. Direction: Exit 2 of Line 3 Apgujeong Station, look to your left. 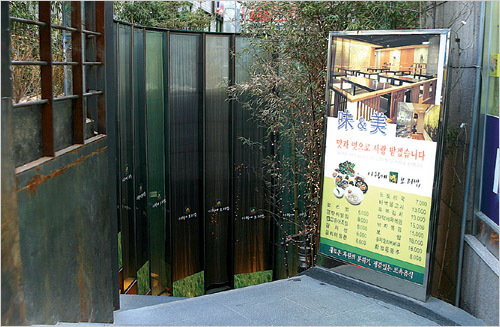 There are a few steps leading down to the restaurant; by CGV Cinema. An elderly woman from North Korea serves some great North Korean cuisine. Exit 4 or 5 of Apgujeong Station (Subway Line No. 3) >> Across the kwanglim Church. Look at the map above. Serves Mon-doo dumplings and soup Mon-doo guk.